Known to many as the “City Of Festivals,” Milwaukee could just as easily be called “City Of Museums.” Tourists and locals alike flock to the nationally-renowned Milwaukee Art Museum to check out the destination’s impressive and ever-changing collection. Similarly, Milwaukee Public Museum has entertained and informed downtown visitors with its eclectic exhibits and The Streets Of Old Milwaukee for generations. The Harley-Davidson Museum has given riders and other bike enthusiasts a lesson on one of Milwaukee’s best-known products in its gorgeous facility for that last 10 years. America’s Black Holocaust Museum will soon shed new light on important social issues that are still being felt in the country today when it re-opens in the Bronzeville neighborhood. While the city boasts those top-tier museums, Milwaukee and its surrounding cities also offers a vast array of collections that celebrate and document a wide range of topics and a variety of different cultures. From a Bobblehead Hall Of Fame in the Third Ward and a beer museum (with a fully-operational bar) in The Shops Of Grand Avenue to a railroad club in New Berlin and an informative way to kill time at General Mitchell International Airport, here are 15 lesser-known museums located in or around Milwaukee. While we never got the opportunity to say goodbye to the Applebee’s in The Shops Of Grand Avenue, its spirit now lives on with Brew City MKE. Last year, Milwaukee County Historical Society took over the space in the mall where people once ate good in the neighborhood, and they’ve since made the space into a full-fledged beer museum. 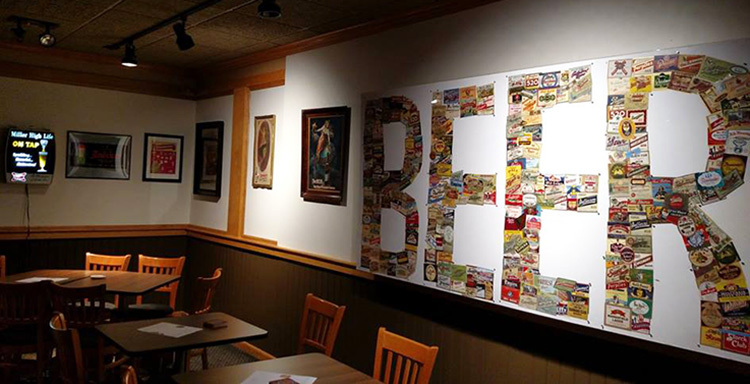 Brew City MKE features vintage brewery ads and photography, old bottles and other artifacts and—best yet—a beer bar that’s stocked with an impressive selection of local beer. Tours are $10 ($7 for visitors 13-20 and free for children) and include a beer or soda. If you’re not feeling a tour and just want a drink in the mall, there’s no cost to skip the museum and just enter the bar. Just west of downtown and the interstate sits a strange, nondescript portal to another time. Formerly used as the office of Milwaukee lawyer and antique collector Avrum Chudnow, the understated 11th Street property eventually became a place for the Americana enthusiast to store some of his acquisitions. In 2012, seven years after his death, the public was invited to look at Avrum’s things at what was dubbed Chudnow Museum Of Yesteryear. The varied collection is organized into a series of period-themed settings. There’s a drug store, a grocery store, a “Wonderland Park” malt shop (with old time sodas for sale), a hardware store, a train depot, a doctor’s office, a small movie house that screens historical shorts and old cartoons on a loop, and even a secret speakeasy (if you can find it). Admission is $6 ($5 for kids 7-13, free for kids 6 or younger) and there’s no place quite like it. Pay attention when you’re walking through the MSOE campus and you’re bound to find the Grohmann Museum, which considers itself to be “the world’s most comprehensive art collection dedicated to the evolution of human work.” We’re not so sure about all that, but we can tell you the engineer school’s ultra-specific gallery features more than 1,300 paintings and sculptures that show men and women working, toiling, crafting, and creating. In addition to the “Man At Work” collection donated by Dr. Eckhart Grohmann (the downtown museum’s namesake), the overlooked art gallery has digital exhibitions, rotating special exhibits, family events, and a rooftop sculpture garden. General admission is $5 ($3 for students, free for kids). In a space overlooking the lake on Milwaukee’s Lower East Side, Jewish Museum Milwaukee allows visitors the opportunity examine the history of Milwaukee’s Jewish community, and to see how that history compares to the life and experience of Jewish people throughout the country and world in the past. Permanent exhibitions include themes like immigration, Jewish belief and community, intolerance and the holocaust, Israel and after, and contributions to Milwaukee and the world. The special exhibit at the moment is Stitching Histories From The Holocaust. Adding to the exhibitions are occasional events and educational opportunities. Jewish Museum Milwaukee grants a localized look at a worldwide tragedy and the unbreakable spirit of those most affected by it. The museum is open every day except Saturday. Admission is $7 (with discounts for students and seniors, free for active duty military and children under 6). We couldn’t have said it better ourselves. Well, maybe we could have, but we won’t try. If you’re a train hobbyist or you just want to hop aboard for an afternoon of model trains in the suburbs, the club and museum is open to the public from 1-10 p.m. every Friday, with select few hours on Saturdays and Sundays between October and April. Tours are free. 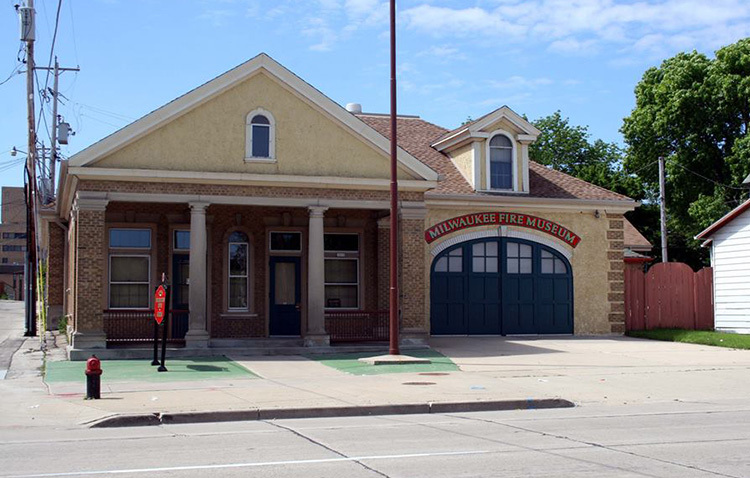 Dedicated to preserving Milwaukee’s fire history, Milwaukee Fire Historical Society & Fire Museum is presently located on the 1600 block of Oklahoma Avenue in the former firehouse of Engine Company 23 and Truck Company 14. Through the museum, the society aims to keep the traditions, history, and heritage of the MFD alive in the former firehouse (which was designated a historical landmark in 2001). There, visitors can check out memorabilia and vintage firefighting equipment, while also learning proper practices during a blaze. Exhibits include a working 1910 fire alarm telegraph, a 1920s-era firehouse kitchen, and other furniture and fixtures that fit the roaring ’20s theme. Hours are limited to the first Sunday of every month from 1-3 p.m. Admission is free, but donations are accepted. 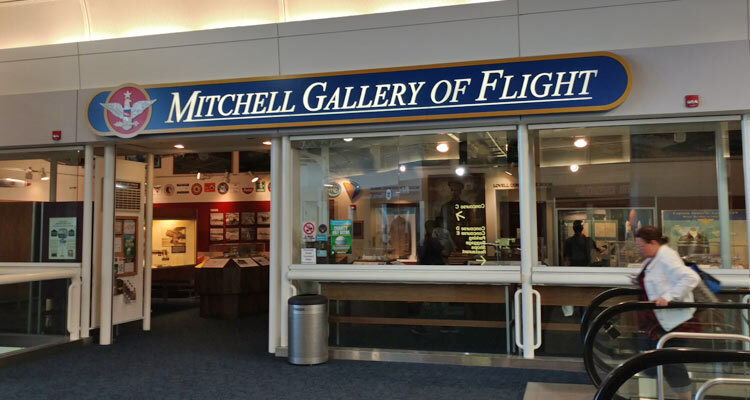 We don’t blame you if you’ve been too concerned with catching your flight or preparing for takeoff with a drink at Chili’s Too to notice there’s actually a museum in General Mitchell International Airport. It’s true! The Mitchell Gallery Of Flight grants passengers-to-be learning opportunity during their layover with a history lesson about the airport’s namesake (decorated military hero/Milwaukeean General Billy Mitchell) and Captain Lance P. Sijan, along with vintage airport photography and adverts, model airplanes, and other aviation artifacts. Admission to the non-profit museum is free, but donations are appreciated. If you have some time to kill before your next flight, we recommend checking it out. Okay, so this one is actually a glimpse into a lesser-known Milwaukee museum to come. After experiencing some success with crowdfunding, the National Bobblehead Hall Of Fame And Museum appears poised to wiggle and wobble its way into a permanent home on 1st Street (above Stack’d Burger Bar) in the near future. 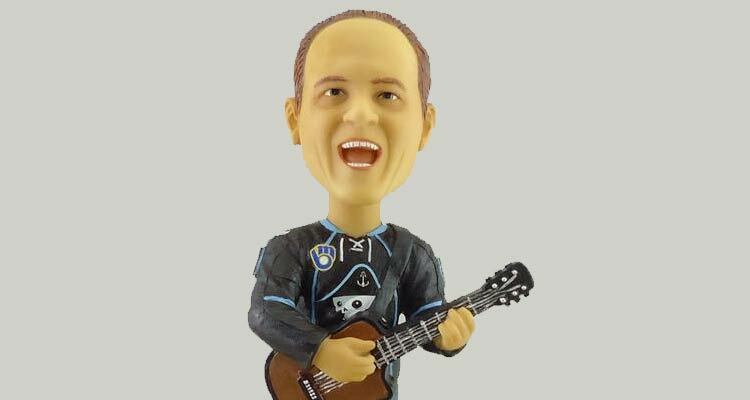 We can’t tell you exactly when this will happen, but we’re sure you can expect thousands upon thousands of bobbleheads to line the shelves. Will this Pat McCurdy promotional giveaway find its way into the collection? Only time will tell. Sometimes when something is right in front of you all the time (or right above you, in this case), you forget its significance. Beyond being a Milwaukee landmark and a literal beacon on the city’s East Side since the late 1800s, North Point Lighthouse is also a functional museum. You can tour the 130-year-old museum, browse artifacts, learn about the lighthouse’s past keepers, and look back at Milwaukee’s place in maritime happenings on Lake Michigan. North Point Lighthouse Museum is open Saturday and Sunday from 1-4 p.m. and seasonally from 10 a.m. to 2 p.m. Thursdays and Fridays. Back in 2016, the Milwaukee Brewers took an unused portion of the left field loge and turned it into The Selig Experience. The 1,400-square-foot exhibit is an “interactive fan experience” that includes a 10-12 minute video highlighting former Brewers owner, ex-MLB commissioner, and Milwaukee native Allan H. “Bud” Selig’s “unforgettable journey” from a baseball-obsessed boy to a baseball-saving commissioner. (Seriously: dude saved baseball in Milwaukee and deserves every honor coming his way, 2002 All-Star Game be damned.) A replica of Selig’s County Stadium office from his days as Brewers president was installed, complete with “historical artifacts” like stacks of paper, pencils, and chairs. But perhaps most enticing/insane part of this game distraction is a 3-D Bud Selig hologram. We repeat, a 3-D Bud Selig hologram. Admission is free (with game ticket). Back in the late 1800s, amateur Milwaukee geologist Thomas A. 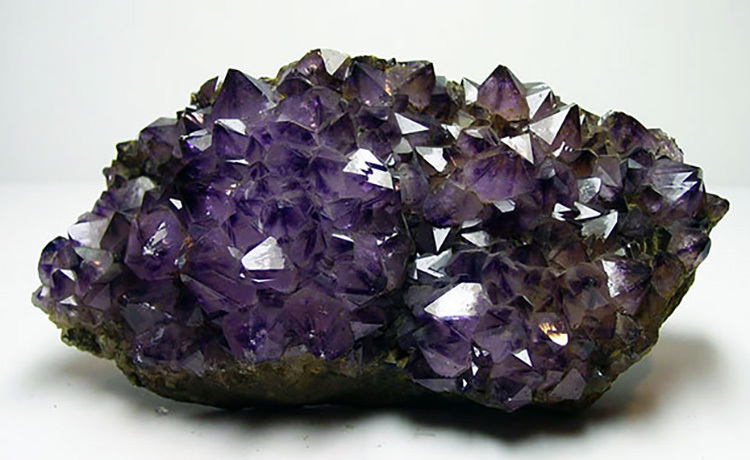 Green was said to have amassed a collection of rocks, minerals, and fossils that was the largest this side of Philadelphia. When he died, his heirs donated that “irreplaceable” collection—totaling approximately 75,000 specimens—to Milwaukee-Downer College (which became part of UW-Milwaukee’s campus). The collection (or what’s now called Thomas A. Green Geological Museum) has been moved to another location on campus and is now in the possession of the school’s Department Of Geosciences. However, Green’s collection—highlighted by fossils from quarries that no longer exist and a piece of meteorite that landed in Washington County—remains at the school and can be viewed by the public. Hours are limited in summer, but you can visit much more often once the fall semester starts. Just down the road from Milwaukee Art Museum sits another stunning art museum with a wholly different focus. Villa Terrance Decorative Arts Museum (along with nearby and affiliated Charles Allis Art Museum) helps extend the visual arts reputation of Milwaukee’s Lower East Side. 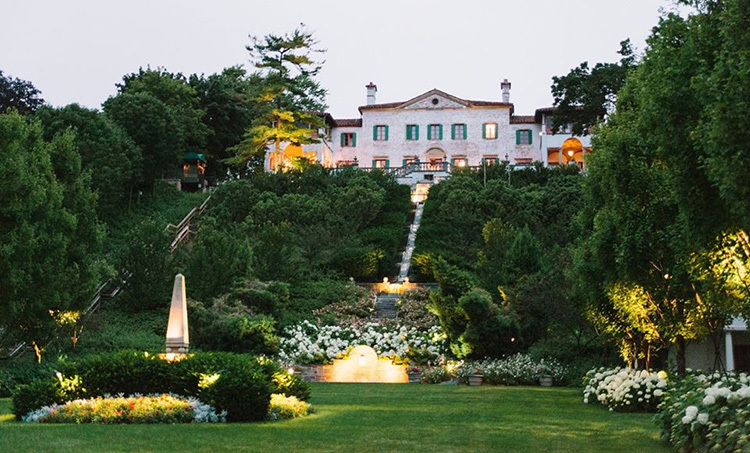 Villa—named for the gorgeous century-old Italian-style mansion that houses the collection—has a wide variety of fine and decorative art that dates as far back as the 15th century. There’s also wrought iron work, continually changing special exhibitions, and even the occasional local concert in the sprawling and altogether beautiful space. Admission is $7 ($5 for students and seniors, free for children) and free to all who visit the first Wednesday of each month. Long before West Allis was a place to get 50-cent beers and the inspiration for a particularly mean-spirited video (which, again, we had NOTHING TO DO WITH), the western Milwaukee suburb was a place with booming industry and oodles of history. Both are on display at the West Allis Historical Society, a museum that’s committed to preserving the rich and inimitable past of the misunderstood locale. Admission and parking are both free. The museum itself is only open from 2-4 p.m. on Sundays and 7-9 p.m. Tuesdays, but the grounds are also home to Honey Creek Park, Honey Creek Log Schoolhouse Museum, and Honey Creek Cemetery. 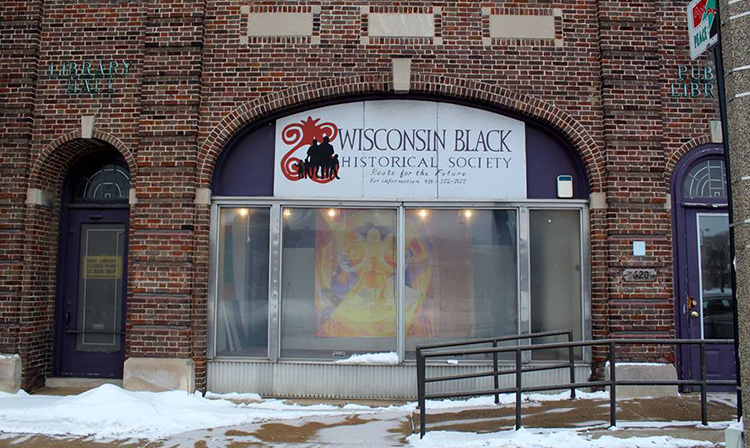 Located on the corner of 27th and Center streets, Wisconsin Black Historical Society And Museum has been committed to preserving African American history in Wisconsin for 30-plus years. Visitors can get a locally-relevant lesson on “the African American labor experience in Wisconsin” through the museum’s “Work’n In The Promise Land” exhibit, and get to know more about both local and national civil rights pioneers in the “NAACP Civil Rights Tribute Bus Exhibit.” Check out the outstanding new “Ancient Egypt To Modern Milwaukee” mural or spread the knowledge beyond the museum’s walls with documents you can pick up at the museum’s Learning Center. 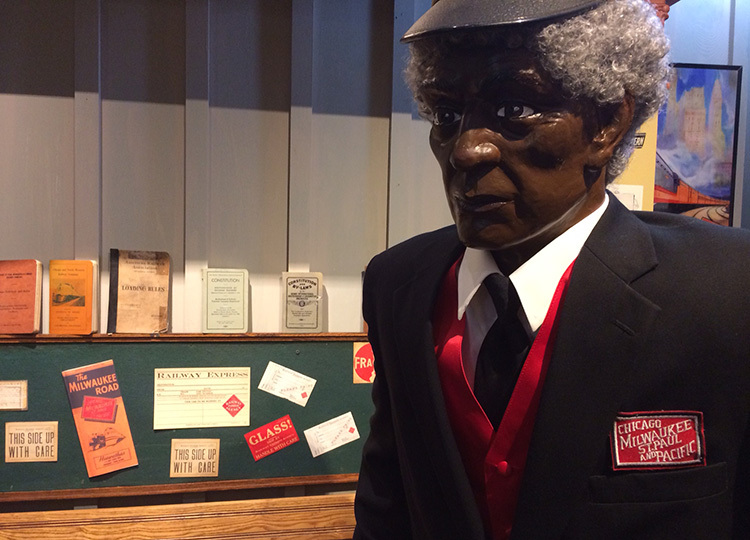 Wisconsin Black Historical Society And Museum is open every day except Sunday. Admission is $5. Last and absolutely least, we come to Wisconsin Museum Of Quilts And Fiber Arts out in semi-nearby Cedarburg. The museum strives to “create, preserve, and educate” and highlight the importance and intricacies behind this endangered art form. If quilting doesn’t move the needle for you, you’ve reached the end of this post. If you’re crazy about quilting or you know someone who is, take a trek out to Cedarburg. Hit up a winery or an artisan cheese shop. Hell, why not make a day of it! Admission is $8 for adults or $7 for seniors 65 and older. So yeah, admission is basically $7 in most cases.